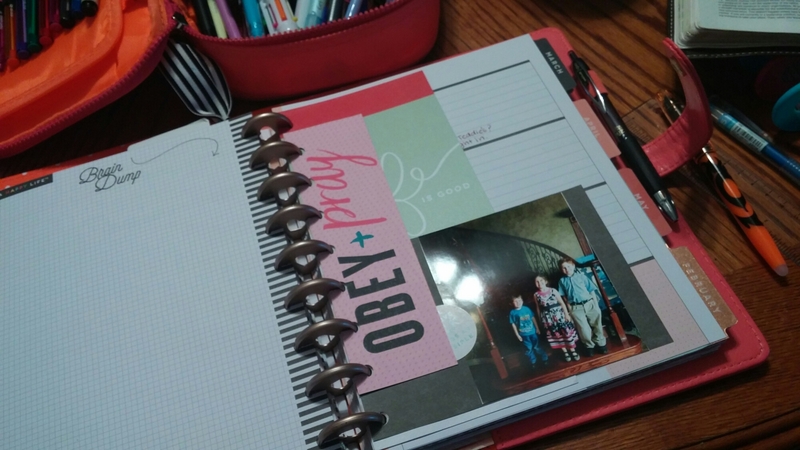 Here is this week’s spread in my mom life planner. We are in our first week of Spring Term and are busy busy busy! 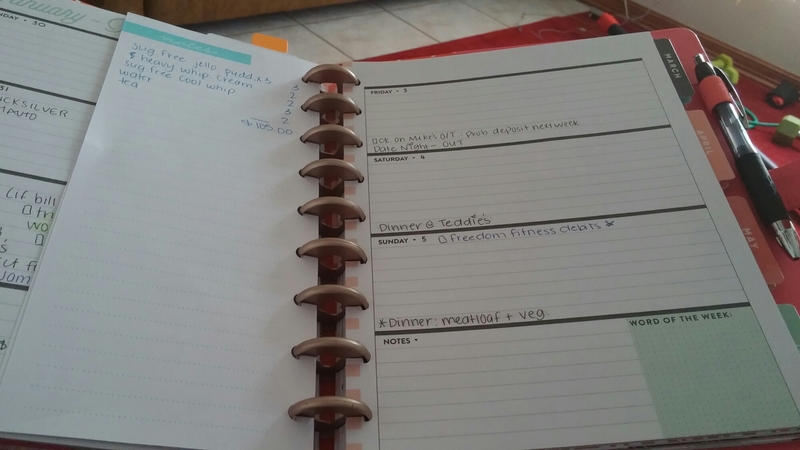 I use my mom life planner to keep up with my kids and house. 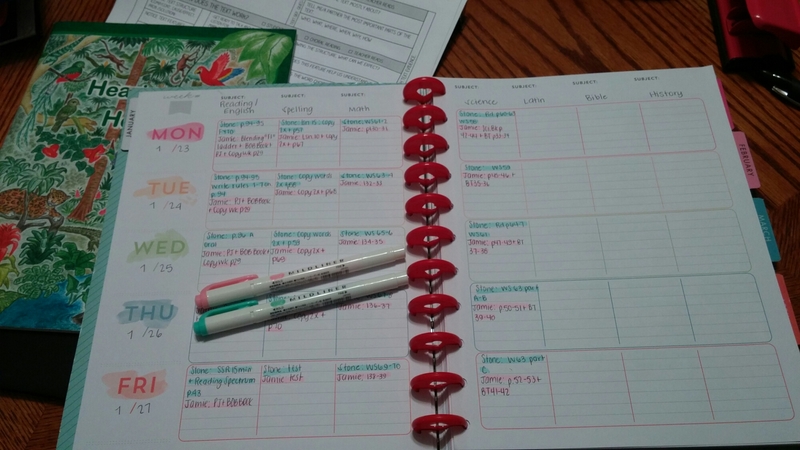 I also use it to meal plan and jot down notes and reminders for dr appointments and school ideas. I’m back from a nice (long) vacation and my first priority was to get my teaching plans done before our Spring term begins on Tuesday. 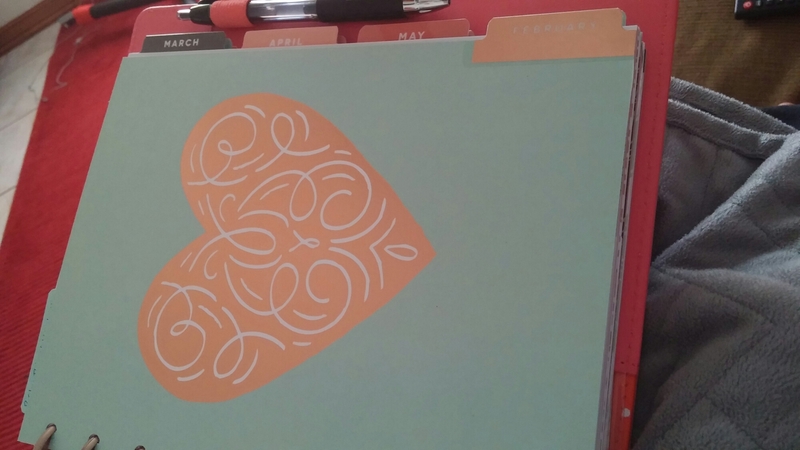 Here’s a snapshot of my Happy Planner. I don’t think this planner would work if you had more than two or three kids in school at a time because it’s not multi-grade friendly. 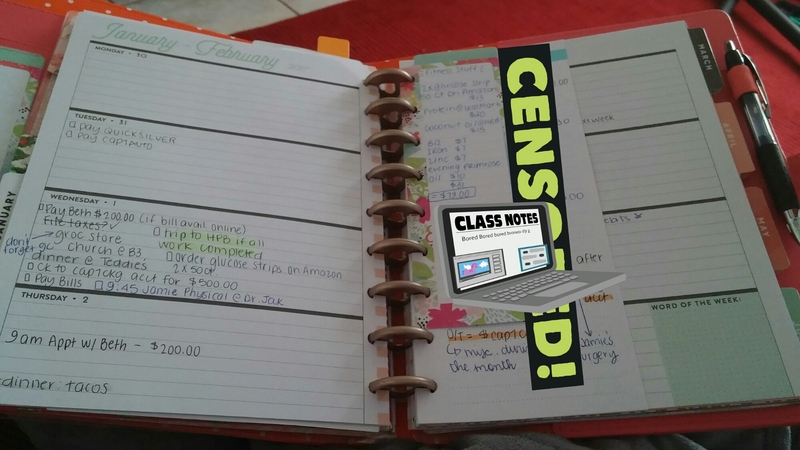 Of course, this planner is made for teachers in the school system, not homeschool. But, that being said, it’s really working for me right now because I only teach two and they do four out of seven subjects together. I’ll be posting more of it’s functionality later. Enjoy and Happy Scribbing! I recently picked up the MAMBI 365 Pencil Case during the big planner/accessories sale at Michaels. I wasn’t sure about it at first, but since buying it I have really begun to appreciate how much it can hold and how easily I can carry it around with me! It’s made of durable canvas and it has a large zipper– something you’ll need if you cart around as much as I do. And I especially like the handle! It has an elastic inside pocket (that perfectly holds a Clarefontaine notebook!) and an inside piece that holds pens individually with elastic loops. I use this case to randomly throw in pens, markers, highlighters, and pencils that I use a lot and want to keep nearby. 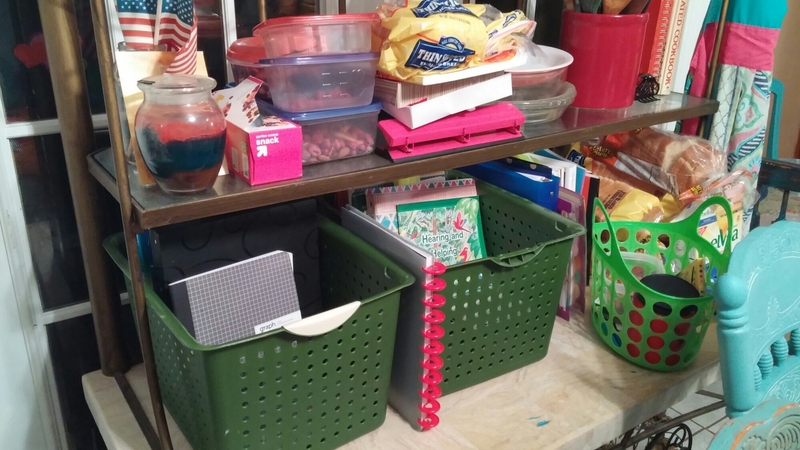 You can also use it to hold small notebooks, sticker sheets, scissors, school supplies, and journaling materials. There really is no limit to its function. This week’s spread is hectic for still being on vacation!! We’re getting ready to go on vacation next week, so this week is full of preparation. 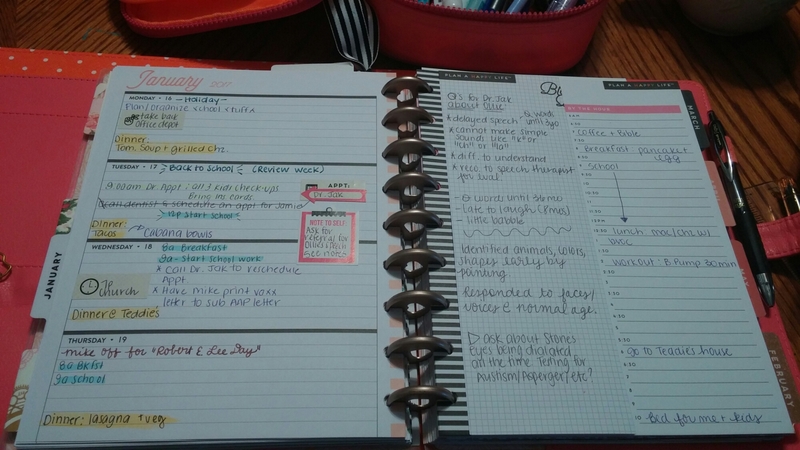 My monthly spread (pictured above) looks busier than what it really is since I messed up my bible reading plan and I had to cleverly cover it up with a black marker and a white Gelly Roll pen. I am really enjoying these blank daily sheets! It makes it so much easier to work through my day with a checklist than just using the space for the day in HP weekly calendar page. 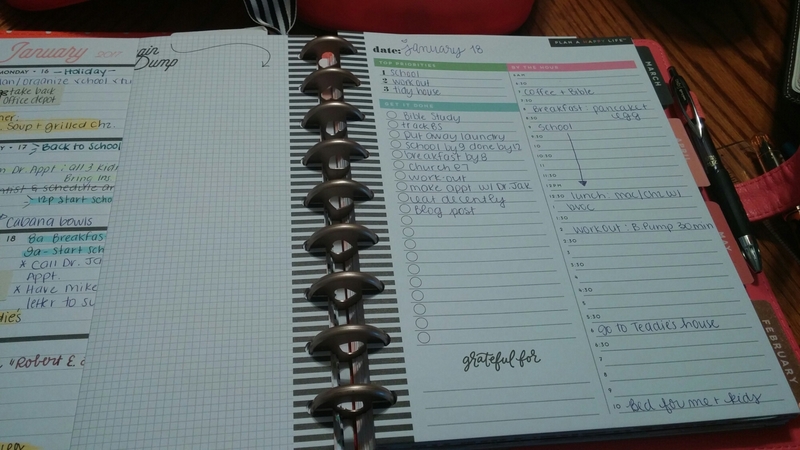 I can take notes, jot down reminders, and even plan my day by the hour– something I don’t normally do or stick to, but it’s great for appointments! I’m using one of the large sticker packs for my spreads. It’s pretty much a prepared sticker layout for the week that gives me the freedom to place where I want but it’s not overwhelming either. In fact, it’s extremely functional! Enjoy and Happy Scribbing (and planning)! I have waited since this cover came out to buy it– because $34.99 is a bit steep and even with a 50% off coupon at Michael’s (which is an awesome place to buy HP gear! ), I just couldn’t justify the purchase. Well, this weekend they had a 60% off ALL Happy Planner planners and accessories and it was the week after Christmas and I had some $$$ to buy myself “gifts”. So I did it. I bought the rose gold Happy Planner Deluxe cover. And I am SO glad I did!! I can reuse it, first of all, and it protects my planner, which will save me $$$ so I won’t have to buy replacement covers. The constant wear and tear and in and out of my purse beats up the cover of the Happy Planner and this deluxe cover will do wonders for protecting my planner. Not to mention it’s very professional looking! It has plenty of room for papers, note pads, and accessories. I haven’t had a chance to take it anywhere yet, so I can’t tell you anything about its portability, BUT, if you have a decent sized purse or workbag, it’s not annoyingly big. It definitely fits well in a backpack. I like that only the back cover is inserted into the cover leaving the front inside cover open for papers. 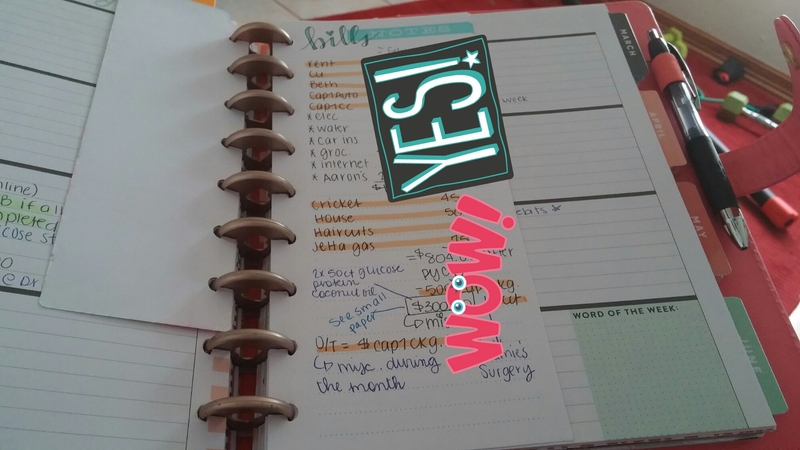 I tend to collect a lot of “hand outs” and instead of keeping them in my purse or stuffing them in my planner willy-nilly I can neatly store the ones I need in my cover. I am so glad MAMBI chose to make these for the HP line. 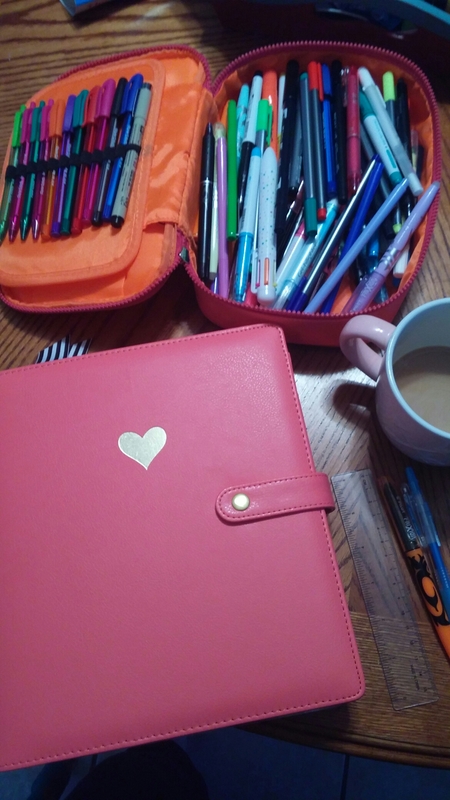 Don’t get me wrong, the HP covers are nice and not all of them are cutesy, but this really helps one to maintain a professional appearance while still utilizing all the great things the Happy Planner has to offer.